I learned to knit about 14 years ago, on a scarf that I’ve kept since then for purely sentimental reasons. The piece was never a thing of beauty and has therefore seldom been warn, but even so, it’s been used enough to add some wear to its already pitiful state. 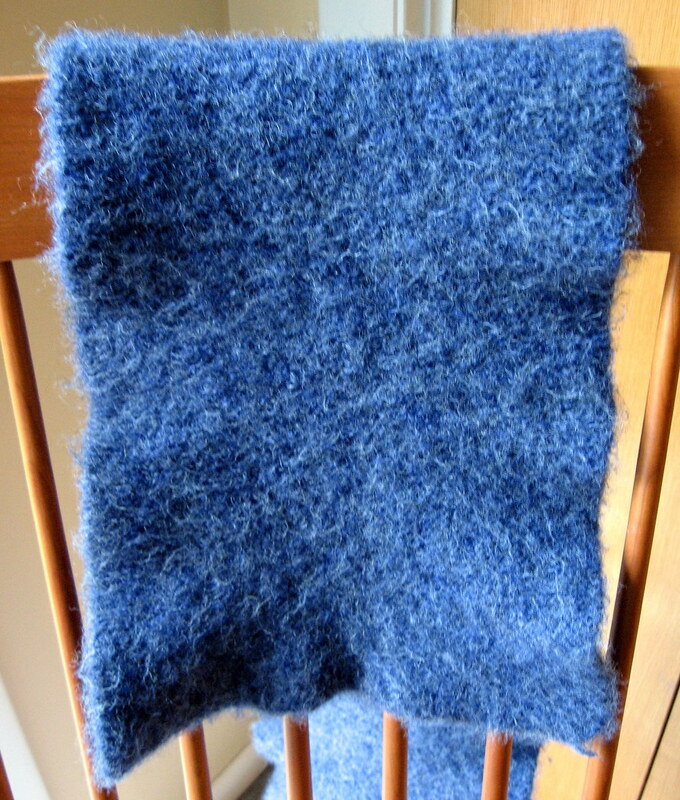 So, I’ve just turned my very first knitted object into my very first felting project. But what to do with it now? Any ideas? you could turn it into a muppet! or a seat cushion, or a pillow case, or a quilt, or a sweater. I think it is a very beautiful shade of blue. Using a sewing pattern, make a hat or gloves. You could make coasters for drinks. Or hot pads, or oven mitts.